St Gregory's Primary, Margate go live! The Year 5 and 6 children of St Gregory's Primary, Margate are part of the Burnet News Club. On 2nd February they took part in BNC Live – a day when all BNC schools across the UK work together to discuss and debate a topical issue. This year the children were learning about the right to free speech. Everyone had a fantastic day developing the skills of scepticism, reasoning, curiosity and open-mindedness. 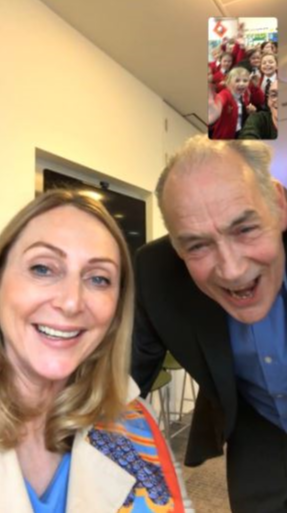 The highlight of the day was when Alistair Steward OBE ‘face timed’ the children to challenge their thinking and thank them for their contributions!